what a week. Let's see what has happened. The game launch at Steam has obviously been a highlight of the week (well not just the week=)). However quite a few other "launches" have happened as well. As for the game, together with Steam launch we have launched the game at Humble Store. Based on how this goes we might add a few other popular retail sites (i.e. GOG, Green Man Gaming). Prior to the appearance of the Game on Steam, we came up with the 0.12.24 (imho a magical release number) which fixed a couple of last minute bugs. This is the version available at Steam. You have probably noticed the homepage layout has been changed. This is due to the release of our new Gameplay trailer. The Factorio Trailer is focused on giving an impression of the game. Without giving too much explanations of what is going on. Basically it goes for the WOW EFFECT. With the Gameplay Trailer our goal was to introduce the real aspects of the game to new players in a short video (well still keeping a bit of a wow effect=)). Show how the game actually looks, how player progresses in the game, how some common UI work, etc. Albert, Robert and others have poured many, many hours to the video. From the comments on Youtube it seems that it was more than worth it. Yesterday was pretty intense. Fixing last minute issues at our website, tweaking the Steam page, finishing the Factorio guide (see below), putting everything together, etc. Finally at 8 p.m. we have semi-automatically launched the game. Huge relief has replaced the frantic preparations. Everybody, except for Albert who went for vacation, was in the office. There was a bit of champaign and positive atmosphere. This got even stronger after a while when positive reviews started to pour in, Steam in-game counter kept going up and discussion at Steam page kicked off. Months of preparation culminated during that evening. Support at reddit. The new Factorio Gameplay Trailer link has stayed at the top of r/Games for nearly full day. Heck, it seems that we have received as much exposure as highly anticipated Superhot. Spreading the word to your friends, youtubers, etc. Helping out new users at Steam discussions, Reddit, our forums etc. In one of the previous releases of FFF, we have mentioned a new third party documentation project called Factorio Strategy Guide. There has been some more development regarding this one. The result is that we (Wube Software) have bought the guide from the original author (Xterminator). We have turned the original .pdf document into a free online guide. Albert has spent his last "finishing" hours, before going for a well-deserved vacation, polishing this online document. This is linked from the Steam page as well. The guide should be considered to be very much a work in progress. There are many things that we plan to improve - phrasing, screenshots, general consistency. However we feel it could be of a good value for new players in the current state. That is why we pushed to have it ready for Steam release. There is a chance of integrating this one with Wiki in the future for instance. However at the moment this feels like the most comprehensive introductory resource into the game there is (apart from messing with the game yourself). There has been one more update in the documentation. This time aimed at the modders community. The Lua API documentation at the wiki has always been a bit messy, not properly updated and often confusing. Couple of weeks ago, Oxyd and Rseding have finished a resolute mini project of making the Lua API documentation autogenerate from the source code. So basically the function bindings in the code are annotated with special-formatted comments (imagine something like java Doxygen) and based on this a comprehensive reference is then generated. You can checkout the result at the Lua API doc page. We will link this website from some appropriate place soon. Another great advantage of this approach is that we can keep clear separation of documentation for different versions. The only drawback is that the feedback for the documentation is now more cumbersome. If you find something that could be improved, sending us an email is probably the best option at the moment. We might make a new topic for this in the modding subforum if necessary. Last couple of days and hours before the Steam release there has been an escalation of sales at our webpage. That was to be expected - people were taking advantage of cheaper price before Steam launch. It was also expected for sales to drop after the release. 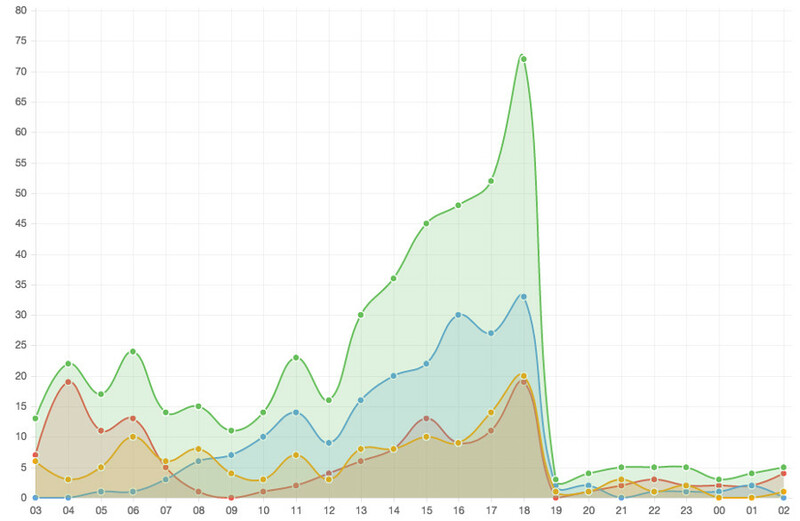 Still it is rather funny to watch the hourly sales stats from yesterday. So this is it. A hectic week is over. The game is launched and it seems to be doing really well. Let's see how it goes=) I have a feeling that our support department (Scott=)) has some rought times ahead. Anyway, Monday seems like a good opportunity to "get back down to Earth" and continue in the 0.13 development, which has suffered a bit in the past two weeks. As usual you can post your comment at our forums.